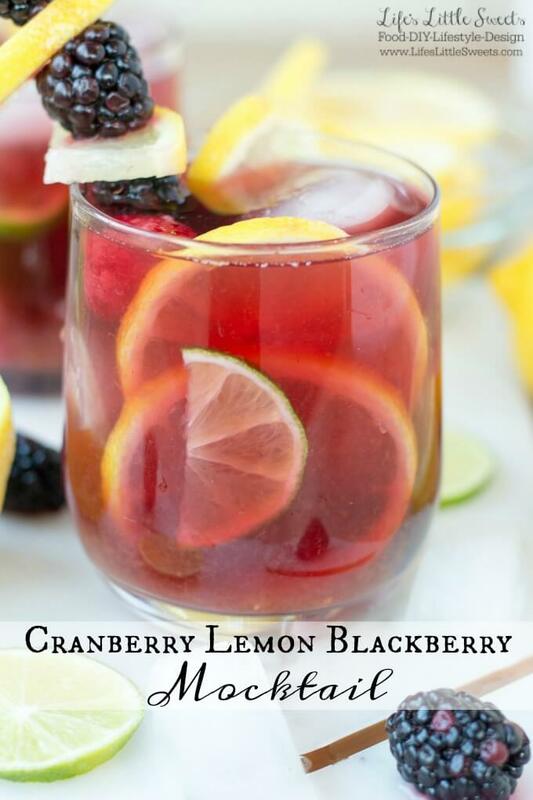 This Cranberry Lemon Blackberry Mocktail for SoFabFood is a perfect drink to welcome Spring! Fresh, citrus-y and sweet, make this to welcome those warmer Spring days! Hello Sweethearts! I hope everyone is doing well this February which is almost over by the way…wow, time really flies. We have been having unseasonable warm weather in New Jersey this February which has me thinking of Springtime recipes and the Summer beyond. It’s really nice having a break from Winter and get some sunshine though it is a little strange this early! Today, I am sharing a recent guest post, Cranberry Lemon Blackberry Mocktail for SoFabFood. These drink recipes are so fun to do! This Cranberry Lemon Blackberry Mocktail with cocktail option will brighten up your day with its sweet and tart flavors. Enjoy this fun and attractive mocktail recipe with slices of lemon, lime, and a decorative skewer of blackberries and lemon slices! Want to know the Kitchen Tools we use? Check out the kitchen tools that I use in my Amazon aStore.